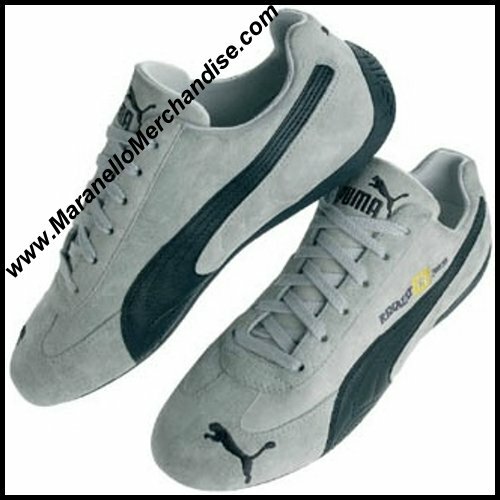 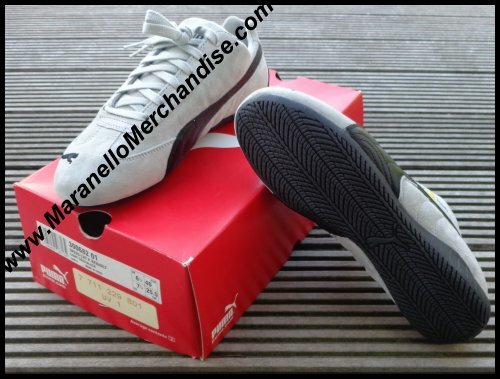 << Back Puma Renault F1 Speed Cat Sneakers - Low -- LIMITED EDITION ! 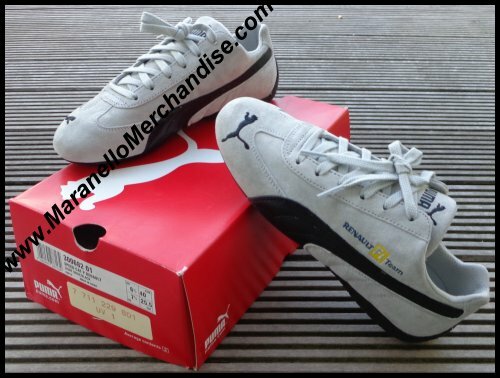 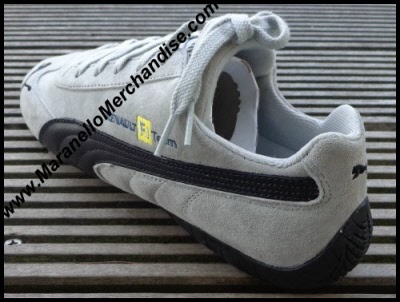 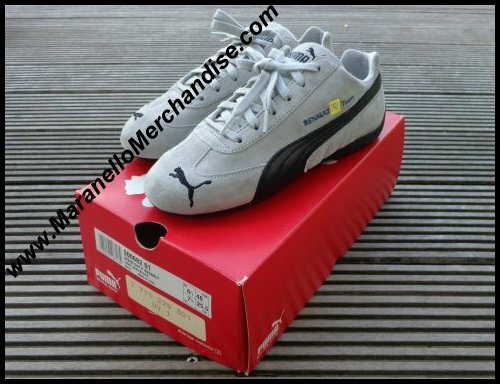 After "winning" the team clothing contracts of BMW Williams and Ferrari, Puma has also produced these low trainers for Renault F1. It concerns a limited edition of only 90 pairs in each size which can be considered a VERY small number and we have managed to lay our hands on a small portion of this production. 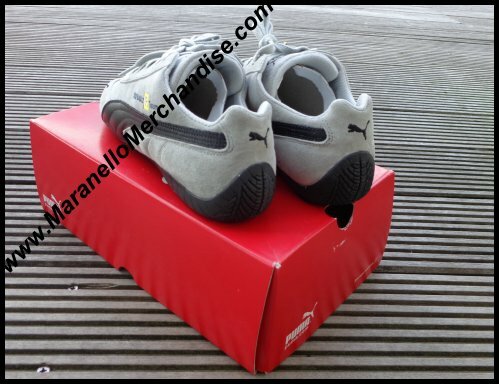 Speed Cat in grey with dark blue accents. Renault F1 logo embroidered on the side, PUMA cat embroidered on the back and on the front and on the tongue. Low trainer made of suede with PU sole. 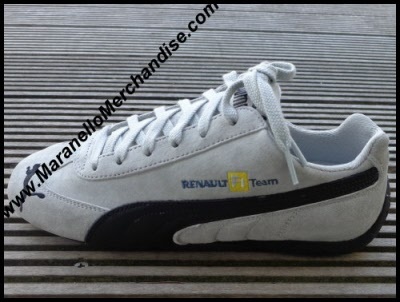 This is of course official Puma Renault F1 Merchandise.